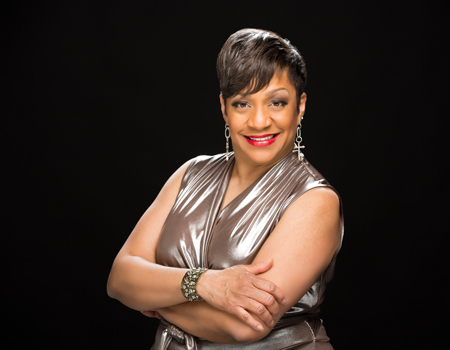 Kathy Tyree has performed in the Omaha area and abroad for 30 plus years and has been given the title “Omaha’s Own Queen of Soul.” She has worked with some of the best performers, directors, choirs, choreographers and tech crews in Omaha, has won several awards and experienced a career of glowing reviews. One of Kathy's most popular productions has been The 70’s Is My Groove. This flashback to the 70’s invites audience members to dress in 70’s attire and engage with Kathy and her ensemble, either grooving in their seats or even on stage. Kathy’s background affords her the skill and ability to tailor each performance to the requesting organization's specifications and theme. Having the flexibility to increase or decrease the number of ensemble members allows Kathy to accommodate an organization's budget as well as venue space. Specialty areas of performance are musical theater, jazz, R&B and gospel. Availability: No availability or travel limitations at this time.